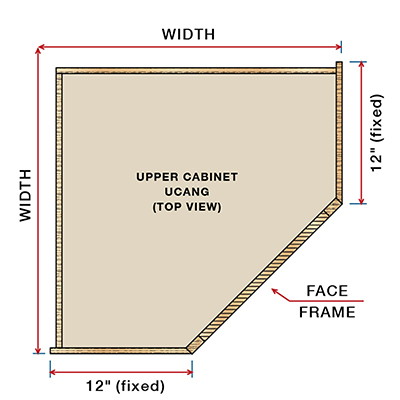 An Angled upper cabinet with 12-16in sides. Available with up to three adjustable shelves. Our ready to assemble cabinet boxes come with interiors finished with PureBond formaldehyde-free technology.